“These pebbles will be crushed, sifted and if you have the chance, you can find gold but it is difficult,” says the 45-year-old widow who sometimes earns 1500 XAF, approximately $2.8, after several weeks of digging. 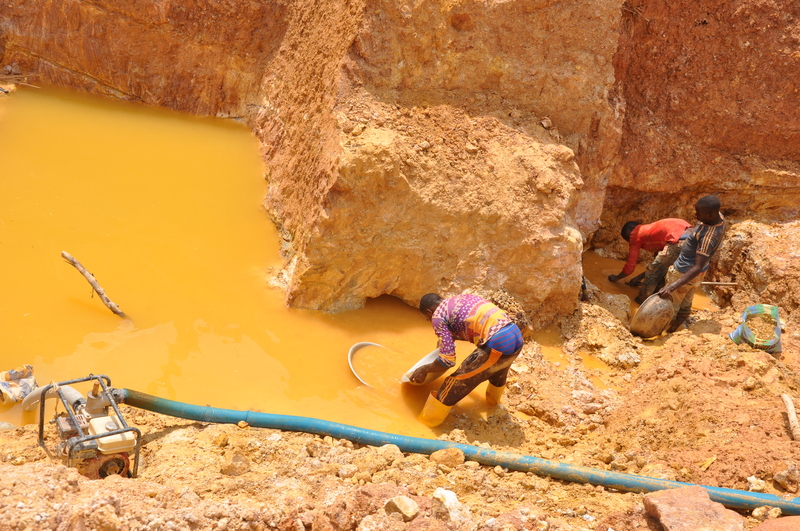 In December 2016 President Paul Biya promulgated a new mining code that recognizes semi-mechanized artisanal mining. However, this exploitation should be carried under Cameroonian law which states that the shareholding in the companies, should have nationals controlling at least 51 per cent. This mining code could have helped to reduce the impact of the confusion around mining permits and the rehabilitation of mine holes. But, the decree implementing the new mining law is not yet signed by the Prime Minister. In a video published by Foder on the dangers of illegal mining, a farmer tells how Chinese gold miners grabbed her land and destroyed her plantation with excavators. 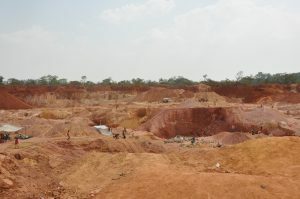 “The Chinese entered my field and started mining gold without my permission,” says Philiphine Boh. “The Chinese told me that it is the authorities that sent them and they will give me 70,000 XAF ($ 131.2) for compensation. I said that this money is insignificant for a field of one hectare that they spoiled. Currently, I have nothing left,” said this mother of five. “The mining sector is a mafia,” concludes Victor Amougou. “This crime unfolding before our eyes does not benefit either Cameroon or Cameroonians, perhaps an elite who would have received 5 or 10 million XAF”.